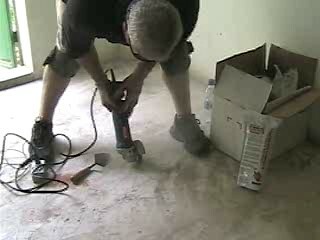 Roadware 10 Minute Concrete Mender™ is an excellent choice for repairing full depth concrete slab cracks. 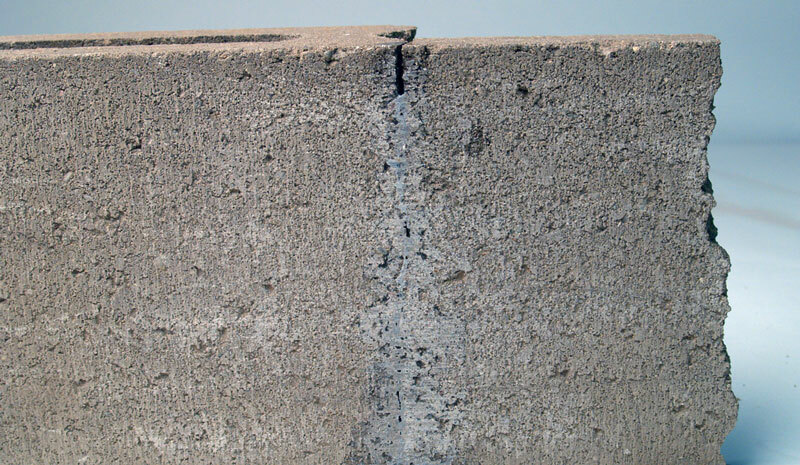 The very low viscosity of less than 8 cps and the exclusive Microdoweling™ penetration properties of the material allow it to flow deep into cracks. The procedure below illustrates Microdoweling™ in action. The Concrete Mender will restore aggregate interlock and will allow dynamic load transfer under heavy traffic. The expense and mess of pressure injection with epoxy can be avoided.Here is a parking deck project located in the North Eastern United States. Hairline cracks run 9-12 inches deep through the deck slab. The contractor drilled 1 1/2 inch holes, 2-3 inches deep into the hairline cracks approximately every 18 inches. 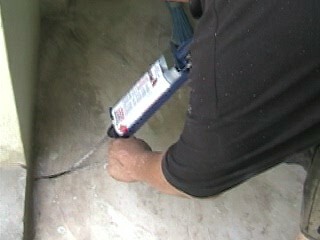 Inspection from the floor below reveals full penetration without pumps or ports. Engineers tell us that Roadware Microdoweling™ is quicker and more cost effective than epoxy injection. The results speak for themselves.